In the turbulent 60's, Miami University was renowned for its school of broadcasting, Not because of it's hardware, which was no match for, say, OSU's or Ohio University in Athens. 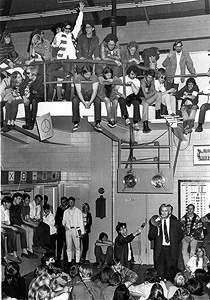 Although the classroom instruction was on a par with the other divisions of this public ivy, MUB's "unique selling proposition" was its requirement that broadcasting students actually broadcast, whether that meant riding the board during a football game, taping a weekly entertainment show, or publicly documenting the tumult in the campus outside. Miami's nightly FM and TV newscasts aired under the brand NewsPoint. and their news did not simply go to dorm rooms. WMUB's transmitters sent it out to a large chunk of Southwestern Ohio. It was by no means a classroom exercise. The 60's and 70's were an age of wrenching changes, propelled by the Vietnam War and the draft, and the dawning realization of our nation's racial, sexual, and economic disparities. These issues and others were a challenge for the broadcasting students, but even more so for the stations' management. In particular, Bill Utter found himself squarely in the middle of conflicts as they played out on campus. 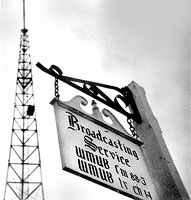 The station struggled to maintain balance as demanded by the FCC at that time, and sometimes WMUB struggled to broadcast news at all. Imagine covering a demonstration against the Board of Trustees, for example, when Miami's FM and TV transmitters were owned by the Board of Trustees. (This actually happened.) It would have been so much simpler and safer to ignore it all, as many college broadcasting outlets did. Some still do. However, WMUB was not neutral in times of moral crisis, nor was it partisan. Management insisted that everyone have a chance to speak, and that all were fairly represented. It was only after I graduated into the world of commercial broadcasting that I learned how rare that kind of courage was. --I'm Ray Smith, and I approved this message. Al Mannes was the familiar face of NewsPoint. Barb Francis worked as producer for the nightly call-in radio program, 529-3521. Kathy Willaman briefed the public on Southwestern Ohio weather. 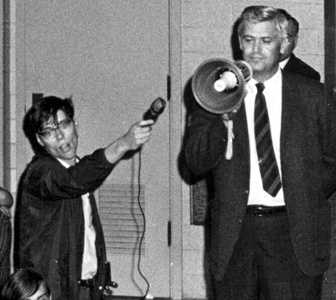 Rick Ludwin hosts "Student Unrest"
with Miami Student editors Dave Pollack and Dave Driver, December, 1968..
Tom Collins and Ray Smith cover the first anti (Vietnam) war demonstration on the Miami Campus. WMUB News was on the scene during the occupation of the Naval ROTC building and the arrests of students that followed. Above, Jeremy Kearcher records the Dean of Men Robert F. Etheridge, giving a last warning before the police were sent in to arrest 176 holdouts. Above, at right, holding a book, is student body president Ron Hall. On the balcony, in a white and striped jacket and sunglasses, is student activist Alan (Dusty) Steytler, who later spent three months in prison for his part in the affair. 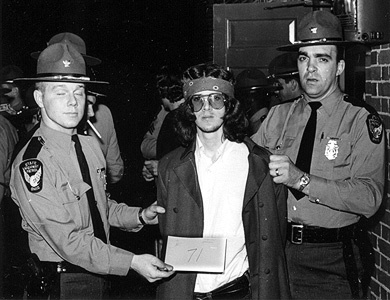 above to Adrian Reiff, arrestee number 71. 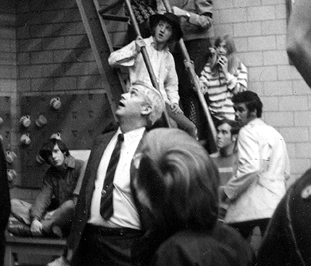 Dean Etheridge looks up at Dusty Steytler. Mayor Conrad tells students that they must leave uptown, following the Kent State shootings in May, 1970. WMUB and the Miami Student would sometimes set aside their rivalry and co-operate, if the story at hand was big enough. Left: A reading of the names of Americans killed in Vietnam. It took three days, non-stop. One of those participating (not shown) was Bill Utter's son. These shots were taken by a radio news reporter (Ray Smith) and published in the Student. Left: Ray Smith narrates a debate on the Vietnam war, broadcast by WMUB live from Withrow Court. 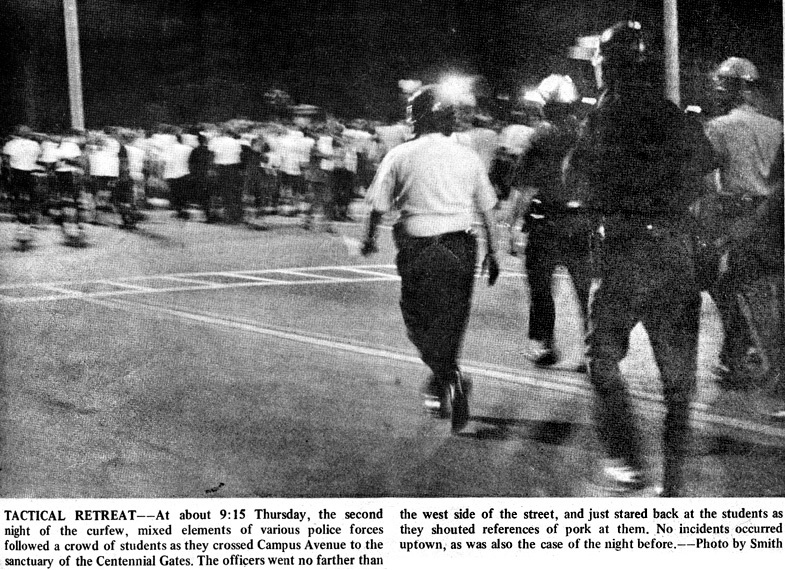 At left is the front page of the Miami Student on the day following the Rowan Hall riot. It was indeed a special edition, because the doors of the "Redskin Reservation", including the Student offices, had been locked. The editors could not get to their desks. You can click on the thumbnail to see the entire page, or right-click to download it for yourself, but be forewarned that it is a long, hi-resolution file. Click HERE to read or download a copy of a Master's Thesis about the events of 1969-1970. Degree: Master of Arts, Miami University, History, 2003. This thesis tells of the protest events at Miami University in the late 1960s and the spring of 1970. Students protested the Vietnam War as well as local issues concerning African Americans at the university. 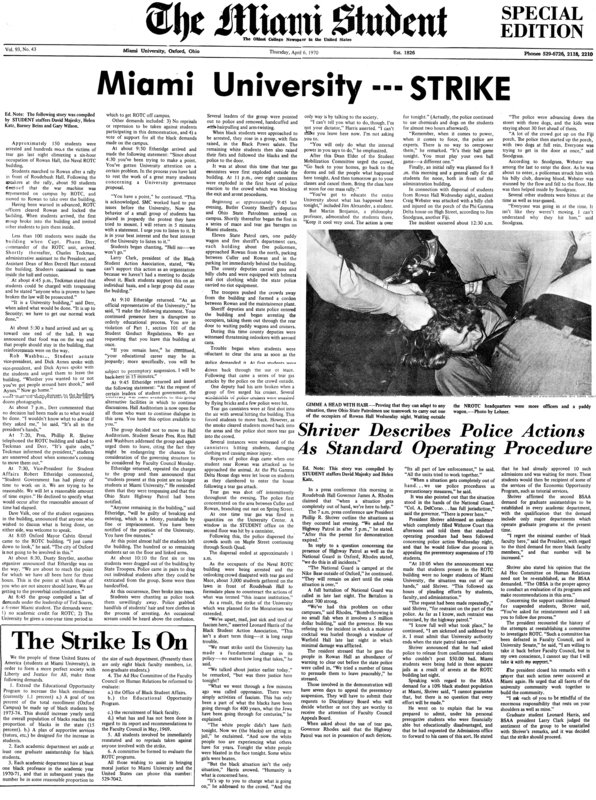 In April of 1970, two events ratcheted up tensions betweens Miami students, administrators and local law enforcement. The first was a sit-in at the ROTC building, Rowan Hall, following a peace rally on the lawn of Roudebush Hall. Local law enforcement forcibly removed the students from the building, inciting a riot scene in the streets of Oxford. The second was the great Miami flush-in when Oxford’s water supply was purposely drained in support of some student demands. The events of those days in April and the surrounding months and years brought the spirit of the 1960s in America to the quaint campus of Miami University.